I'm not sure where to put this thread but I think this is where it belongs. It is quite easy to convert an equirectangular map to a cube map, but is it possible to do the other way around, converting a cube map into an equirectangular (or maybe cylindrical) map? An equirectangular map is a cylindrical map. That's what I thought But is the conversion possible and if so how does one do it? Of course any conversion is possible. Use some GIS software. Great! I have the NASA G-projector software, but I can't find the conversion from cube map to cylindrical, only from cylindrical to cube. I was searching for something like this, didn't find anything, so I wrote a little app in C# but the conversion of a cube map with 512px tiles takes 25 mins with. So I threw that off. What I did is using Blender (a free 3D suite software), map the faces to a cube, put a camera in panoramic mode in the middle of it, and render the cube shaderless with the camera into a file. 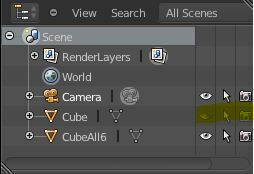 It takes 2 seconds to render, I made a "conversion-ready" blender file, so it takes 30 seconds to me to setup the scene. I just have to rotate the camera to rotate the equirectangular panorama the way I want. - Install it, don't really care about the options. - Open the attached blend file. - Next to the "Image Texture" blue drop down, there's a + expander. Click on it to reveal a button to select the cube map. Now you should see the cylindrical map appear on screen. Rotate the camera with R and RR (double-press) to change the way the map is displayed. Once you're satisfied, press Z to return into Wireframe mode. - Press F12. Wait a little for the render to compute, and the generated image should appear just in front of you. - Press F3 to save the image where you want, and on the bottom-left you have the image save properties. Boom! You have your equirectangular map ! 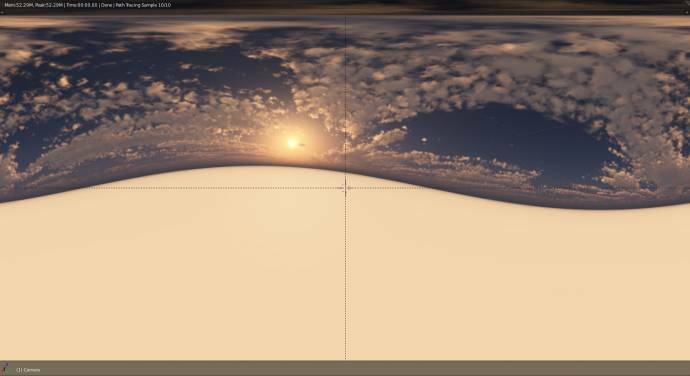 NOTE: For space engine cube maps, Positive Y and Negative Y images must be swapped in order to work. Plus the Negative X face must be rotated 90° Counter-Clockwise in order to work perfectly. 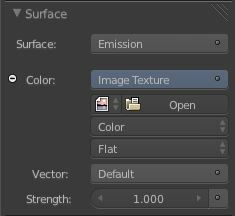 - For each material (pink ball), select it, go to the Surface panel, and click Open under the blue "Image Texture" drop down. - Go select your image. After a bit, the pink ball should change into a ball with the image mapped in it. - Right-click on the camera on the 3D viewport, and press 0. - Press SHIFT+Z to go into rendered mode. - You should see your equirectangular map. Pres R and RR (double-press) to rotate the camera and turn the map the way you want it. - Once you're done, press Z to return to Wireframe mode, go to the Render tab, and under the Dimensions panel, set the resolution to what you want. Ideally the X value should be 2 times the Y value. And make sure it's at 100% (to have full resolution). Press F12 to render the map, then, when it's done, press F3 to save it. On the bottom-left hand you have the properties on how to save the image. Maybe that's a bit too complicated, especially if you are not familiar with Blender, so if you have 2-3 cube maps to convert, I'll be glad to convert them for you (just specify me the resolution you want of the image) !